Ready to conquer the skies and become a no-risk stunt pilot? The Aerius Drone is one of the tiniest drones in existence, dubbed ‘the world’s smallest quadcopter’ and approved by the FAA. Measuring up at just 2 cm in height and 3 cm width, the Aerius quadcopter will allow you to have fun and practice full flight mechanics anywhere you want to go. 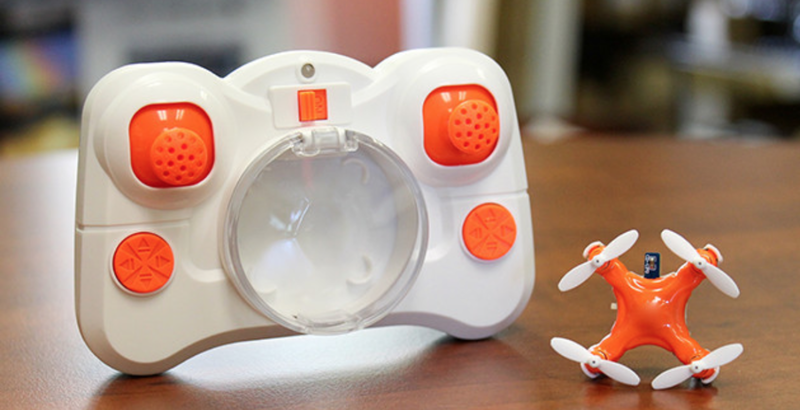 It’s tiny enough to fly indoors, and you can get one now for just $35 from TNW Deals. Transport and store your microdrone inside its controller, and when you’re charged and ready to fly you can choose between two pre-programmed flight sensitivity speeds. The pre-programmed ‘trick mode’ algorithm will set you on a course for stunt-flying acrobatics, while bright LED lights allow for fun flying at night. Learn to perfect high-flying flips, rolls, dives and other wild tricks with a 22 percent discount, now just $35 from TNW Deals. Read next: Are you innovative enough?